Flower arrangements, as a gift cannot be compared with anything else. Moreover, flower arrangements with floral touches evokes enormous positive emotions, which is why it is very important to choose it very carefully. Flower arrangements’ composition should fit the occasion and tastes of the recipient. The ability to give appropriate flower arrangements – is a real art. In Europe, people still adhere to the strict rules of flower etiquette. Not to spoil the mood of yourself and to whomever the flower bouquet is designed for, you need to know at least the basic rules of flower etiquette. The Flower arrangements’ composition may not have classic shapes. 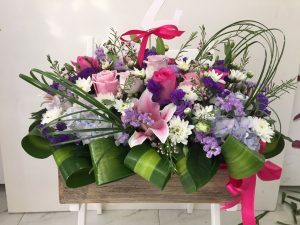 On the contrary, the custom, unique, or even unusual look of a bouquet can better emphasize the importance of the gift, and the person whom you are presenting it to. 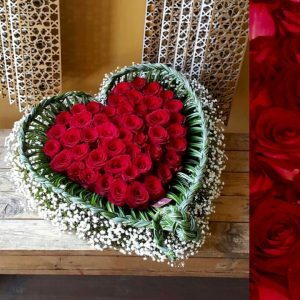 On Valentine’s Day, for example, one of the best examples can be flower arrangements in the shape of a heart. On any anniversary, suitable idea can be a flower bouquet of yellow roses in the form of a particular number. Also, we have to pay attention to how each of the holidays is important for the person. Christmas and birthdays are the most important days of the year that is why it is important to make them special, and memorable. While preparing flower arrangements for Christmas, you can add some accessories that show the holiday spirit. On the other side, when focusing on birthday flower arrangements, you can use candles, cones, silver and gold balls, which have recently become very popular. Nevertheless, if you prefer traditional flower arrangements, without any additional decorations – a nice bouquet of white and bright red roses can be just the right present. Autumn, or winter flower arrangements can be presented to beloved friends or family members, who had just returned from vacation or got a promotion or got a baby, etc. ; reason could be any as flower arrangements go for all occasions. For spring, flower arrangements can have a perfect monochromatic combination. 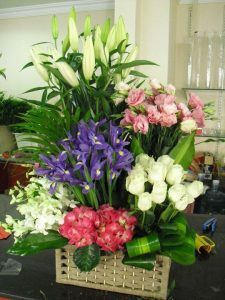 Colorful amalgamation of different flowers will look great & sink with the mood. Spring atmosphere can be created with yellow, and white color flower arrangements – a seamless blend of innocence. Such a bright flower bouquet will undoubtedly make the atmosphere a bit of soothing & restful. A special case is Birthdays. While concocting flower arrangements for birthday celebrations, it is absolutely significant to take into account, personality, hobbies, preferences, style etc. 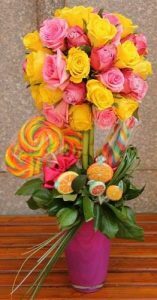 of the receiver & accordingly choose right flowers & accessories to create an amazing flower arrangement for the birthday boy / girl or flower arrangements for people attending birthday party as a return gift. 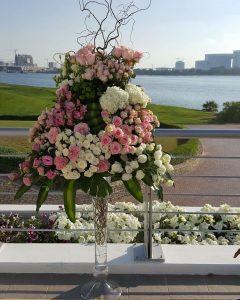 As mentioned before, flower arrangements, go-to gifts for all kinds of occasions & celebrations. Hope this offered you quite an insight about flower arrangements as gift purpose. Have a look at our other gorgeous flower arrangements’ ideas, visit our Instagram, Facebook & Pinterest pages.